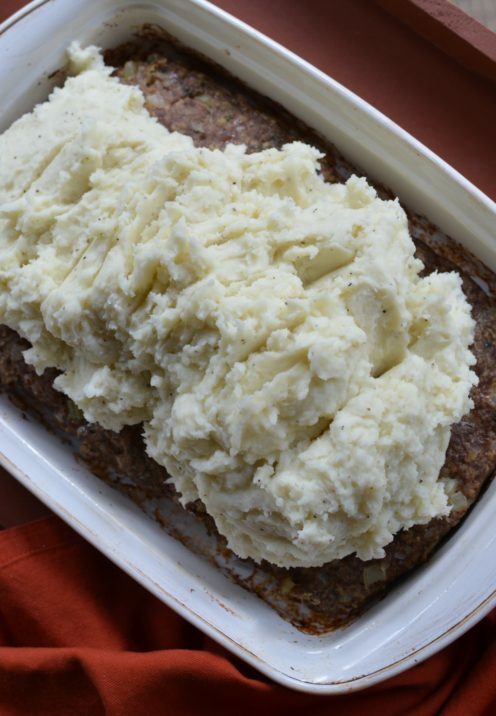 As I mentioned in the last edition of Sundays With Celia, I recently made one of my most well-loved recipes, Meatloaf With Cheesy Mashed Potatoes for a small dinner party I hosted. This is my kid’s favorite dish, the one they all ask me to make for them when they come home. I hadn’t made this, the ultimate Comfort Food in awhile so this time my husband requested it. I thought it was also about time I shared this unique and delicious, kid-approved dish with you too. 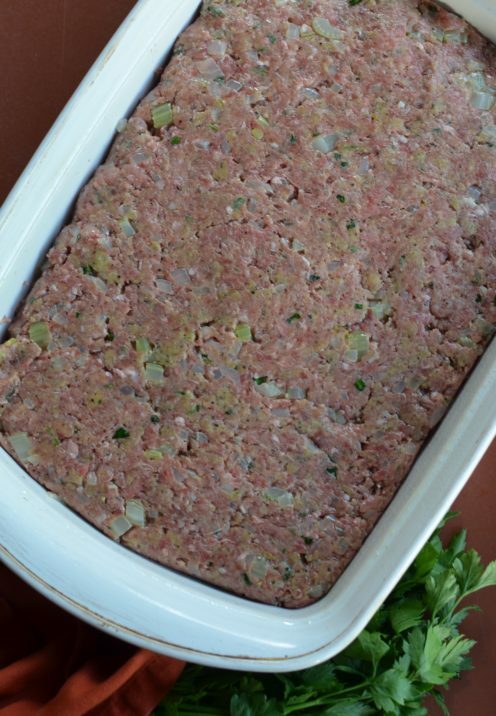 Let’s get started making the meatloaf first. Heat the olive oil in a large frying pan over medium heat. 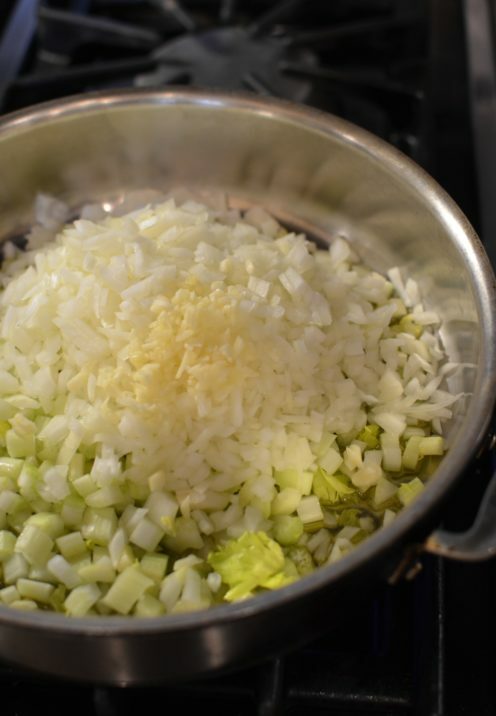 Add the diced onion, celery & minced garlic. Saute the vegetables, stirring occasionally for about 7 minutes or until they are translucent and just beginning to brown. Now set them aside. 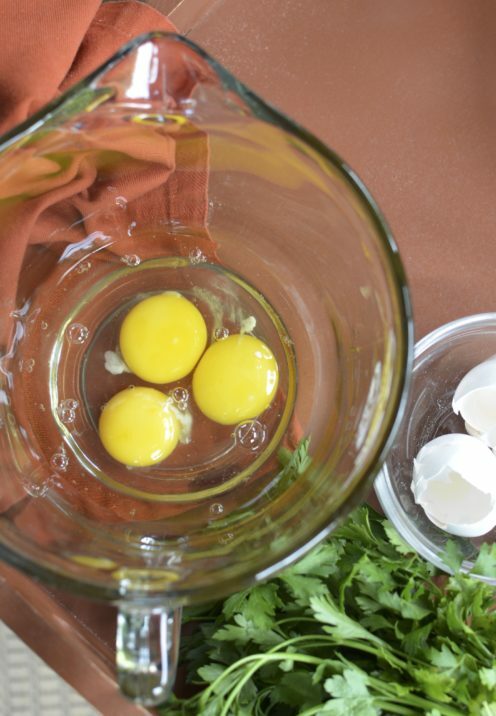 Break the eggs into a medium sized mixing bowl. 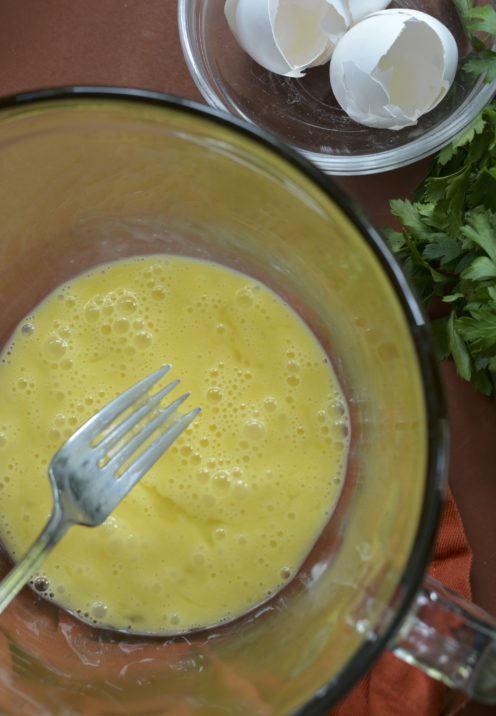 Using a fork, lightly beat the eggs. 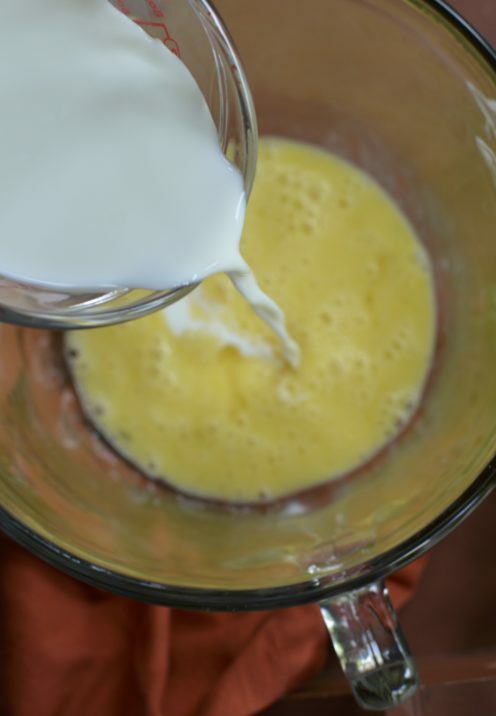 Add the milk to the beaten eggs. along with the salt & pepper. Mix the wet ingredients to combine. 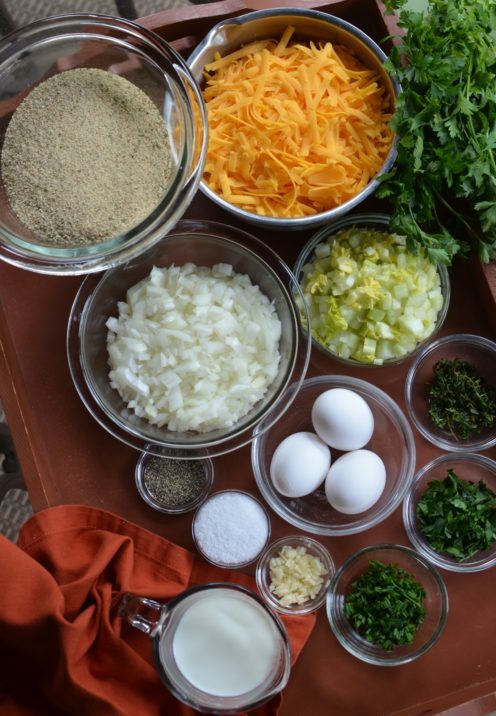 Place the breadcrumbs and the sauteed vegetables in a large bowl. Add the pork and ground beef and pour the egg mixture over everything. 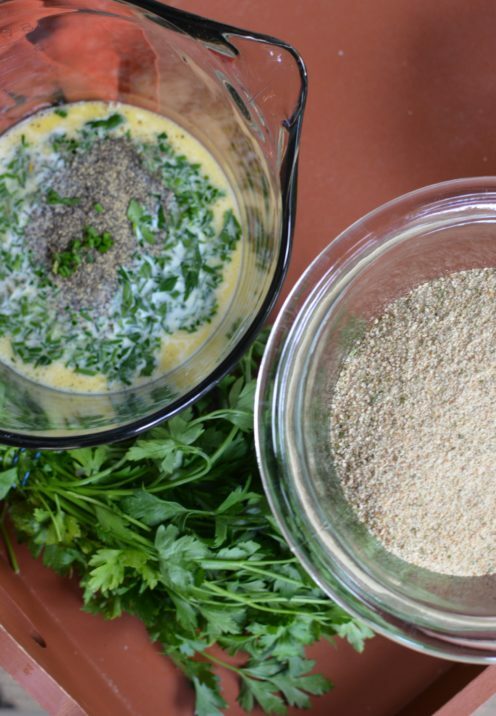 Using clean hands, gently mix the vegetables, bread crumbs and egg mixture into the meat, making sure it is well combined. 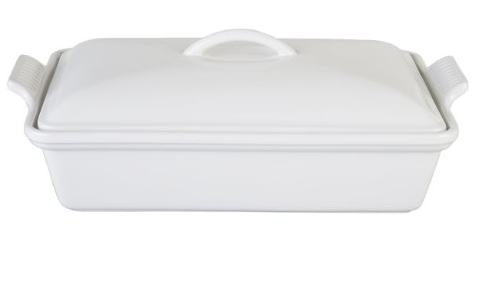 Grease a 12″ x 9″ x 2 1/2″ high-sided, rectangular casserole dish. This Le Creuset Heritage Stoneware 12-by-9-Inch Rectangular Dish would be ideal. My son gave me one last Christmas and I love it! Gently press the meatloaf mixture into the dish. Place the meatloaf into the 350° F, preheated oven . Set your timer for 40 minutes. Bake the meatloaf until a thermometer inserted into the middle of the meat registers 155° F. While the meatloaf cooks make the mashed potatoes. You’ll need 5 large russet potatoes that have been peeled and brown parts removed. 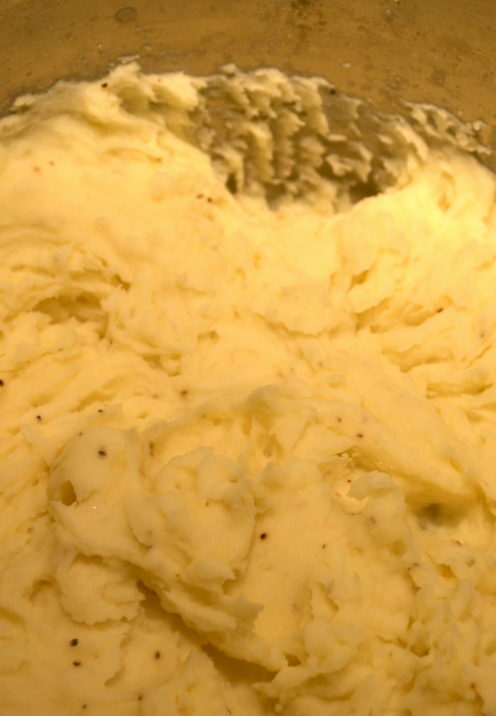 I use russet potatoes for these mashed potatoes because they produce a dryer mashed potato, perfect for this dish. 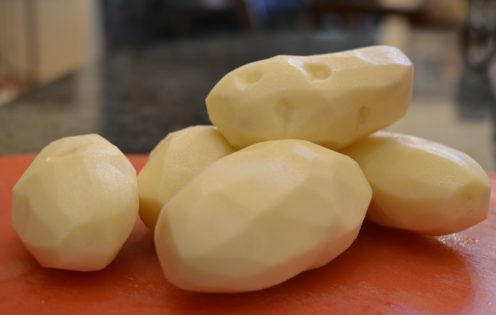 Make sure your potatoes are cut into uniform pieces, about 1 1/2″ in size. Place them in a large saucepan and cover them with water. 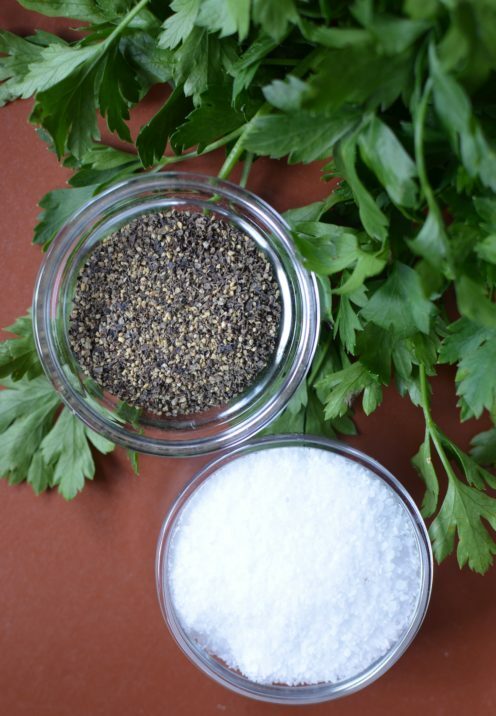 Add 1 tablespoon of Kosher salt to the water and place them on the stove over medium heat. 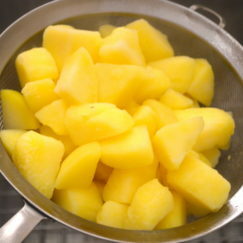 Gently boil the potatoes until they are fork-tender. Drain the potatoes well, then quickly return them to the warm saucepan in which they were boiled. Add the cubed butter, the warmed milk and the salt & pepper. NOTE: I use coarse black pepper for these potatoes. 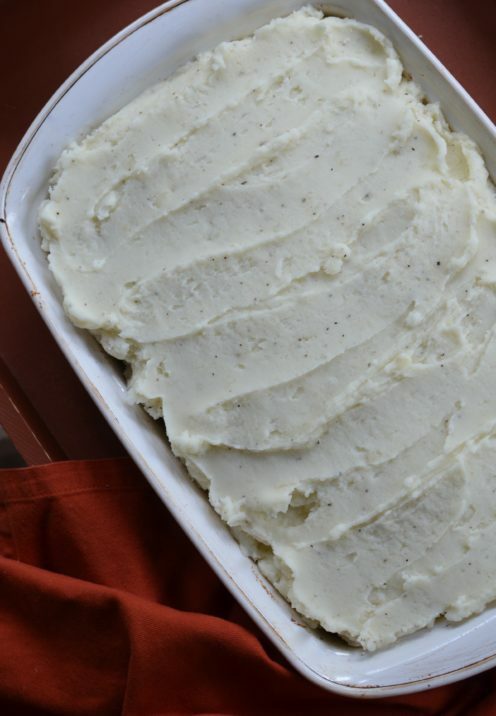 Many people prefer fine ground white pepper for their mashed potatoes but for this dish I like the texture and the taste of the black pepper. Using a handheld mixer, beat the potatoes into the milk and butter until they achieve a smooth, creamy consistency. These mashed potatoes will be somewhat thick in consistency. Cover the pot and set the potatoes aside, preferably in a warming drawer, where they will stay warm until the meatloaf is finished cooking. Hopefully by this time your meatloaf is ready, having reached an internal temperature of 155° F. Remove the meatloaf from the oven but do not turn the oven off. Carefully drain off and discard any excess fat that may have accumulated around the meat while it cooked. 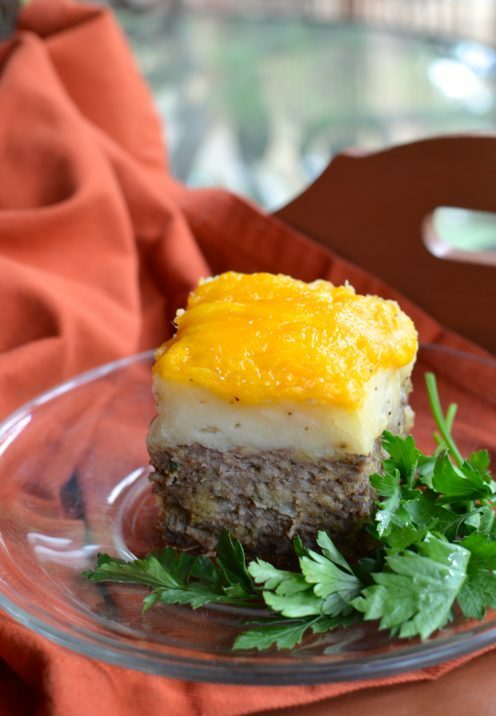 Spoon the warm mashed potatoes over the warm, fully-cooked meatloaf. Using a spatula, spread the mashed potatoes evenly over the meat. 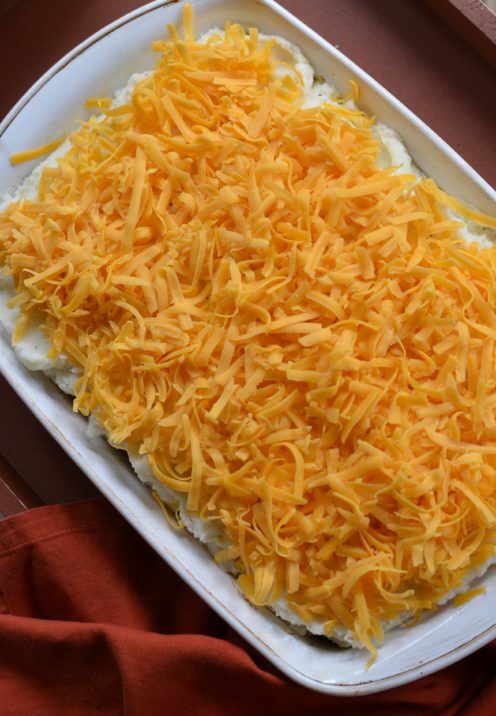 Sprinkle the potatoes with the grated cheddar cheese. 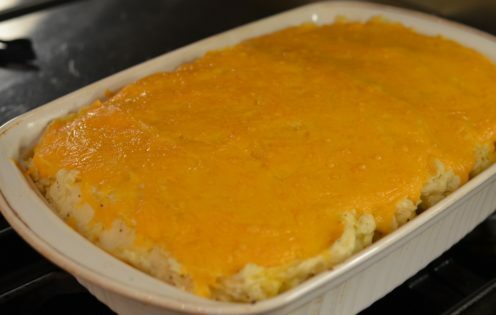 Return the Meatloaf with Cheesy Mashed Potatoes to the oven and cook until the cheese has melted. Slice into squares and serve hot from the oven. This is my kid's most requested meal. It's a main dish and a side dish all in one. I usually serve it with peas on the side to round out the meal. This dish is guaranteed to be a hit with your family too. Heat the olive oil in a large frying pan over medium heat. Add the diced onion, celery & minced garlic. 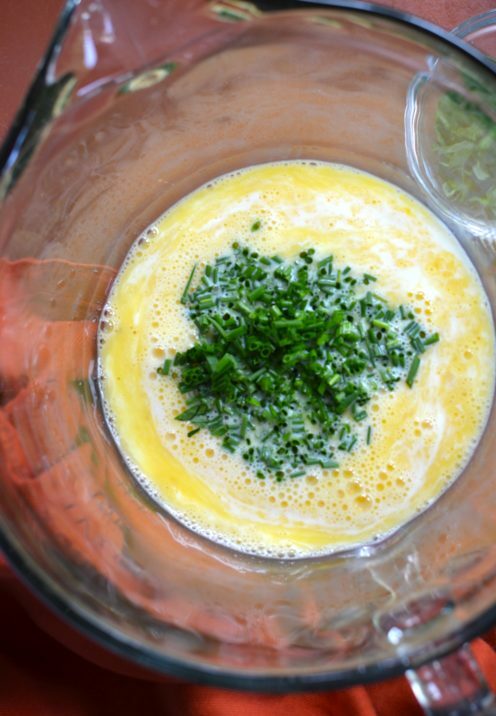 Break the eggs into a medium sized mixing bowl. Using a fork, lightly beat the eggs. Stir in the parsley, chives, thyme and salt & pepper. 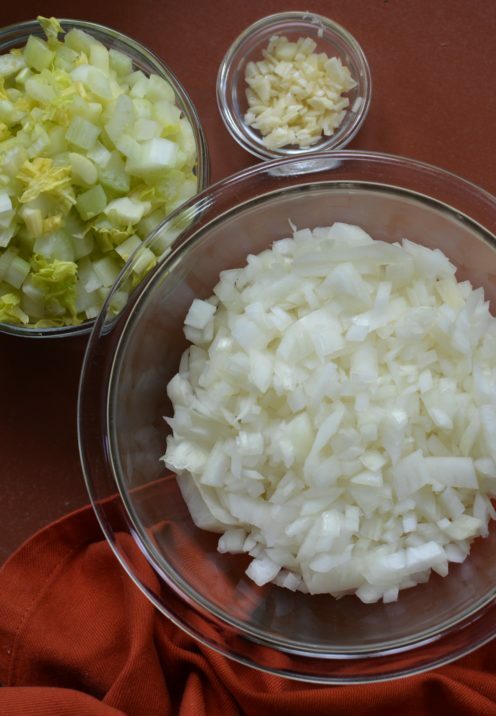 Place the breadcrumbs and the sauteed vegetables in a large bowl. 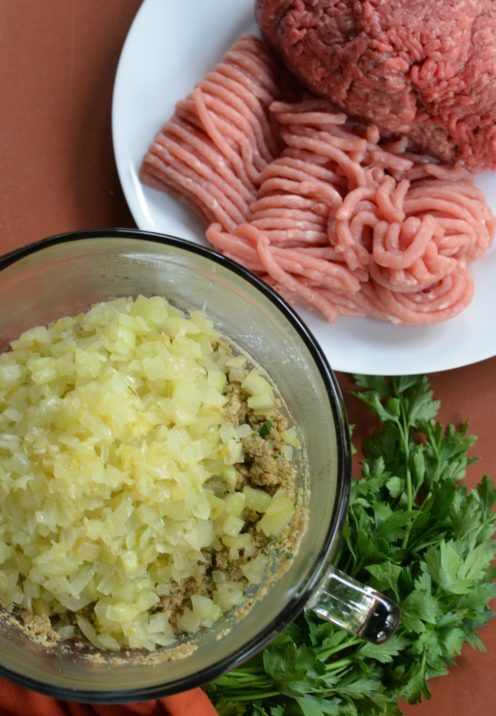 Add the pork and ground beef and pour the egg mixture over everything. Using clean hands, gently mix the vegetables, bread crumbs and egg mixture into the meat, making sure it is well combined. Grease a 12" x 9" x 2½" high-sided, rectangular casserole dish. Gently press the meatloaf mixture into the dish. Place the meatloaf into the 350° F, preheated oven . Set your timer for 40 minutes. 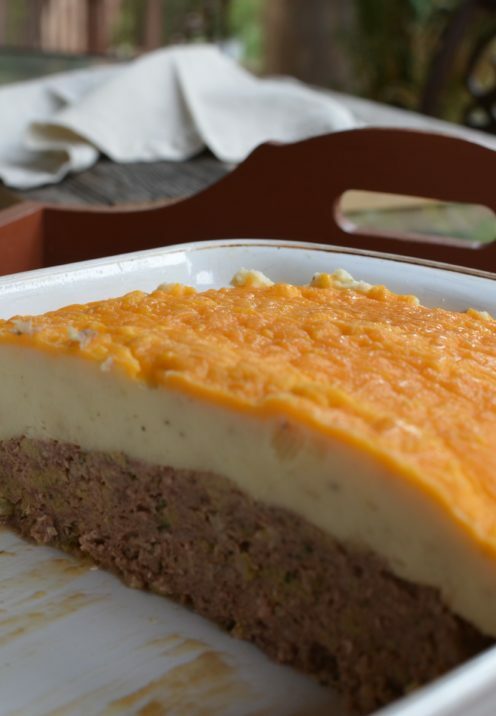 Bake the meatloaf until a thermometer inserted into the middle of the meat registers 155° F.
While the meatloaf cooks make the mashed potatoes. 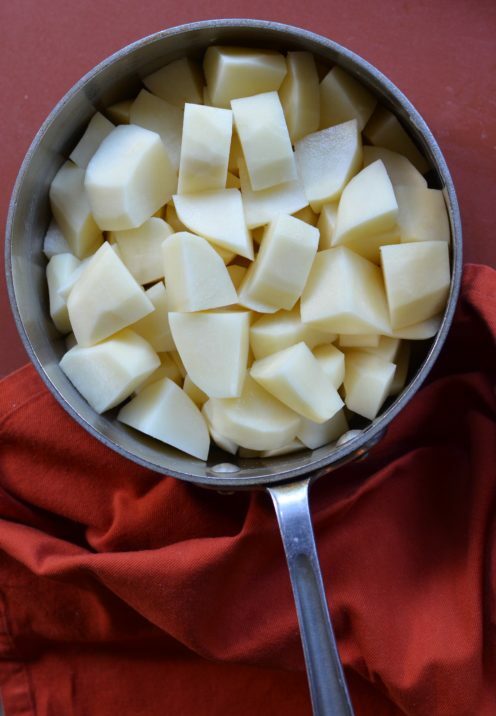 Place potatoes a large saucepan and cover them with water. Add 1 tablespoon of Kosher salt to the water. 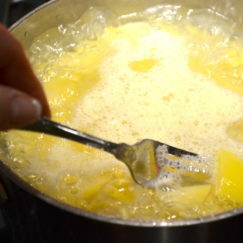 Gently boil the potatoes until they are fork-tender. Drain the potatoes well, then quickly return them to the warm saucepan in which they were boiled. Add the cubed butter, the warmed milk and the salt & pepper. Using a handheld mixer, beat the potatoes into the milk and butter until they achieve a smooth, creamy consistency. These mashed potatoes will be somewhat thick in consistency. Cover the pot and set the potatoes aside, preferably in a warming drawer, where they will stay warm until the meatloaf is finished cooking. 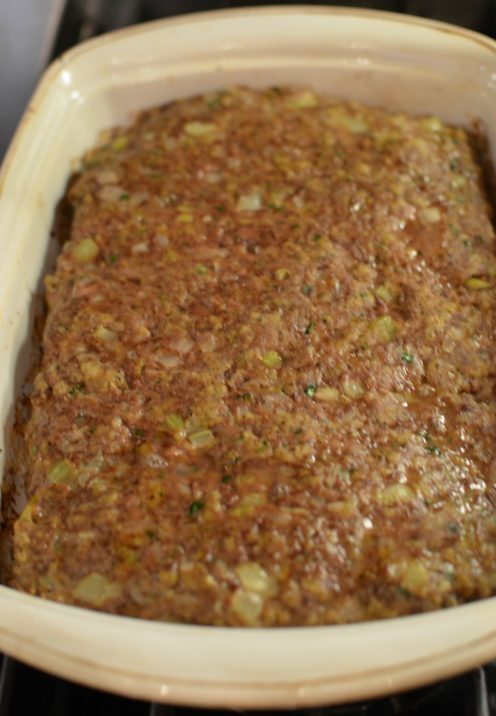 The meatloaf is ready when it has reached an internal temperature of 155° F.
Remove the meatloaf from the oven but do not turn the oven off. Carefully drain off and discard any excess fat that may have accumulated around the meat while it cooked. Keep leftovers covered in the refrigerator for up to 3 days.